Grizzly Times and IWFF partner in hosting Dr. David Mattson's presentation, The Epic Shared Journey of Bison and Grizzly Bears. Bison and grizzly bears have coexisted for hundreds of thousands of years in a circumpolar arc of habitat spanning over 10,000 miles. As a source of important food, bison for millennia dictated the fate of grizzlies, as well as humans, in the Great Plains and adjoining mountain valleys of North America. 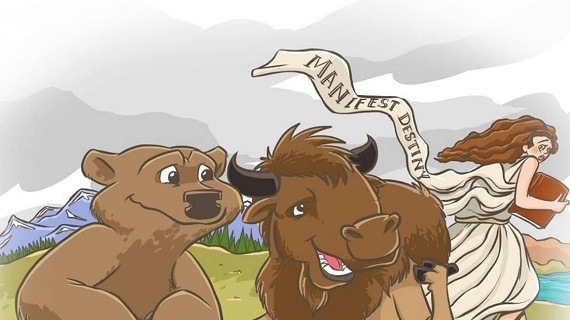 But this once robust and widespread relationship of bears and bison has been reduced to a small remnant—less than 1% of what we once had—centered on Yellowstone National Park. Dr. Mattson will describe this history and future prospects for Yellowstone’s bison and grizzly bears in his talk. Now retired from the US Geological Survey, Dr. Mattson has conducted extensive research on grizzlies and other large carnivores. He is also a policy scientist and has held teaching positions at Yale, MIT, and Northern Arizona University. Dr. Mattson will be joined by his wife, Louisa Willcox, who is a co-founder of Grizzly Times and has worked as a conservationist in the Northern Rockies for over 30 years with a focus on grizzly bears. Johnny Arlee, a spiritual and cultural leader of the Salish and Kootenai Tribes, will introduce the event and give a blessing. This event will begin at 5:30 with Dr. Mattson's presentation. At 7:30, we will screen the feature film Peacock's War, an award-winning documentary about Vietnam veteran Doug Peacock's work on behalf of grizzly bears. Your $5 ticket to The Epic Shared Journey of Bison and Grizzly Bears will also grant you access to Peacock's War. On August 28, Grizzly Times will host a 2 pm press conference at the Doubletree Edgewater Hotel in Missoula featuring Dr. David Mattson, Johnny Arlee, author Rick Bass, athlete/hunter Doug Lefler, and grizzly bear advocate Louisa Wilcox.